These treats are drool worthy. 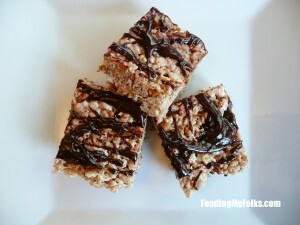 Yes…I drool for this recipe whenever I want something sweet. 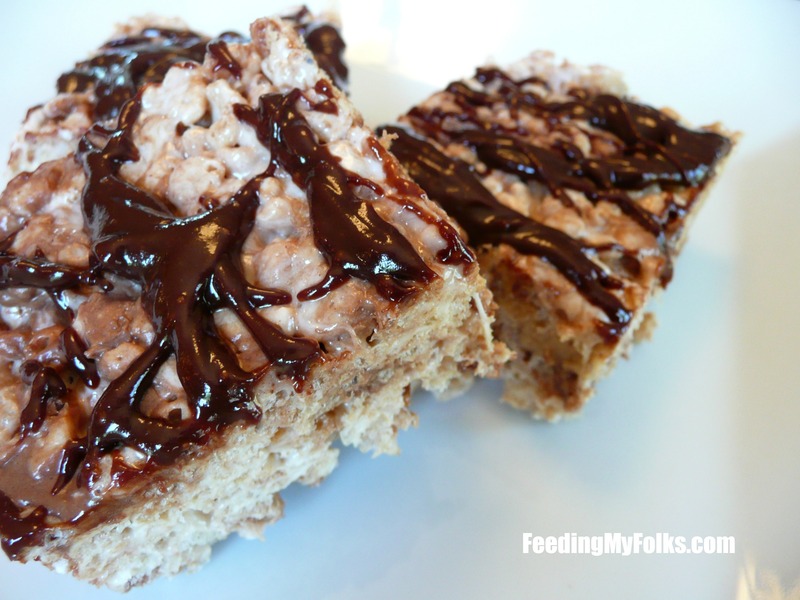 Attention everyone who loves chocolate, peanut butter, snacks, candy, crispy sweets, dessert, marshmallow, etc etc etc – you will all LOVE this recipe. A few hours after I dropped them off at my friend’s house, I got a text saying “these are crack laced rice krispies…they’re incredible!”. If that’s not a ringing endorsement, I dunno what is haha! Unwrap and chop all the peanut butter cups (I chop them pretty small, but you can leave it chunkier if you like). 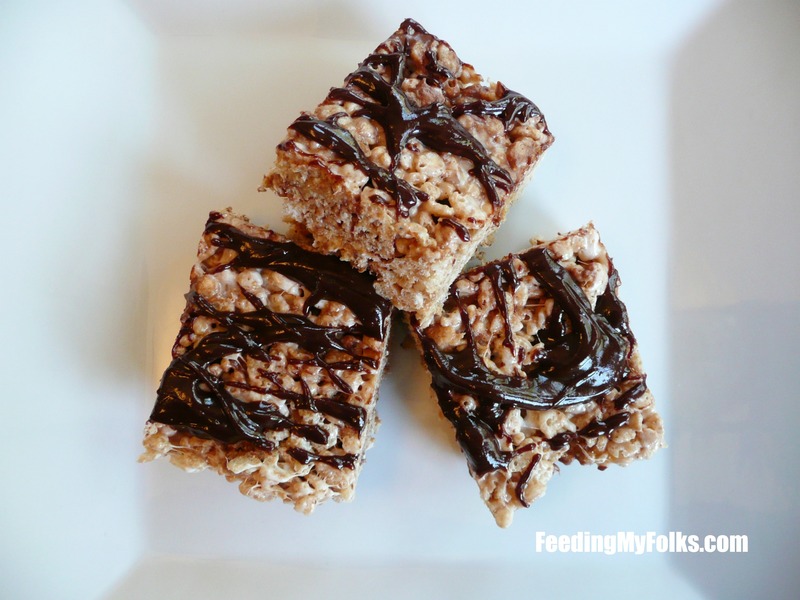 Mix in with your rice krispies, making sure they don’t clump together. In a large pot over low heat, melt the butter. Add in the marshmallows and stir until melted. 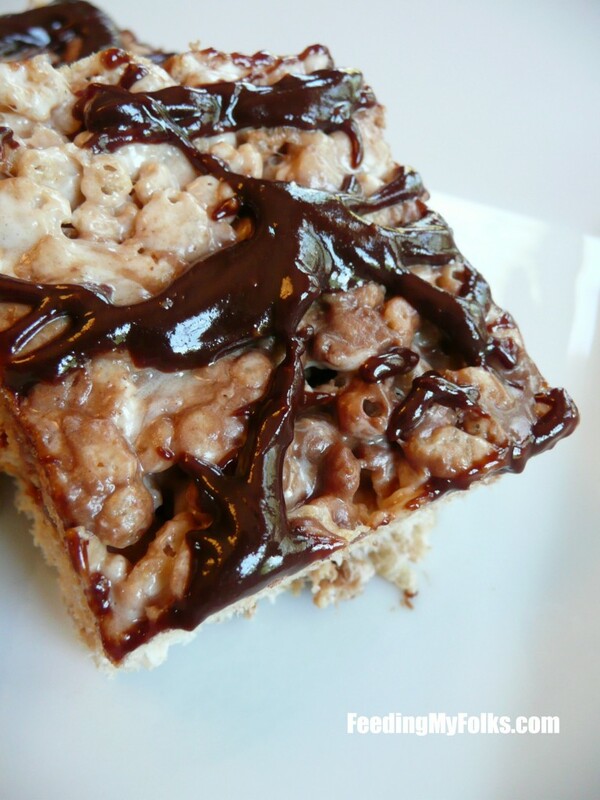 Pour in the rice krispies and stir immediately until everything is coated in marshmallow. The Reese’s WILL start to melt, but don’t worry, that’s a good thing! Transfer to a greased casserole dish. Spread out evenly. Cool completely for it to firm up. Drizzle with the chocolate peanut butter sauce (see below). Cut into squares using a knife sprayed with nonstick cooking spray. Over a double boiler on low heat, add the milk, chocolate, and peanut butter. Stir until melted. 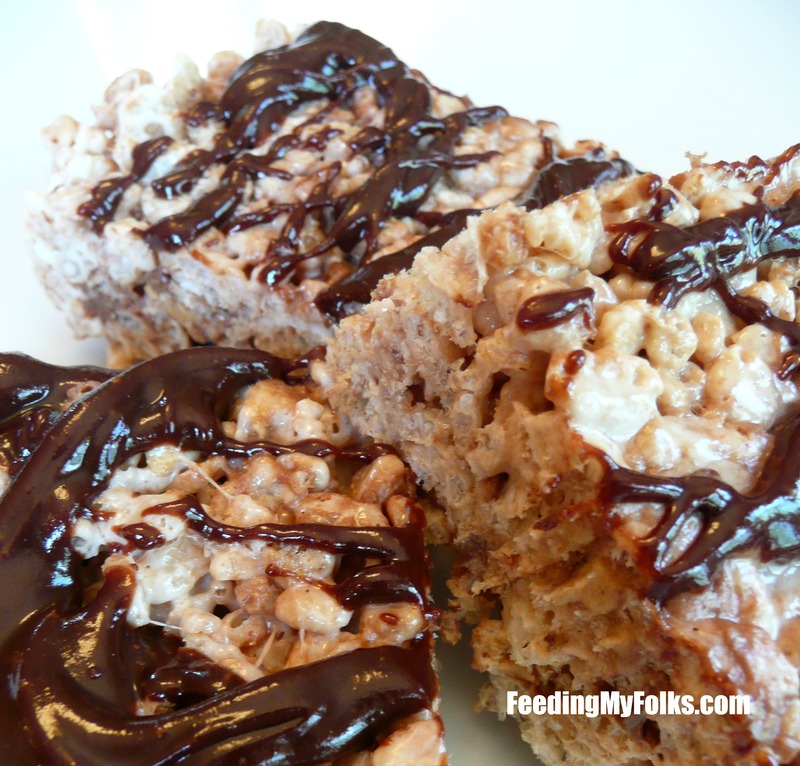 Drizzle on the rice krispies and leave some extra for a dipping sauce! Making them in the microwave is the eaisset. Melt the butter and then throw in the marshmallows. They melt with very little stirring involved. Turn out great everytime, even for challenged bakers.